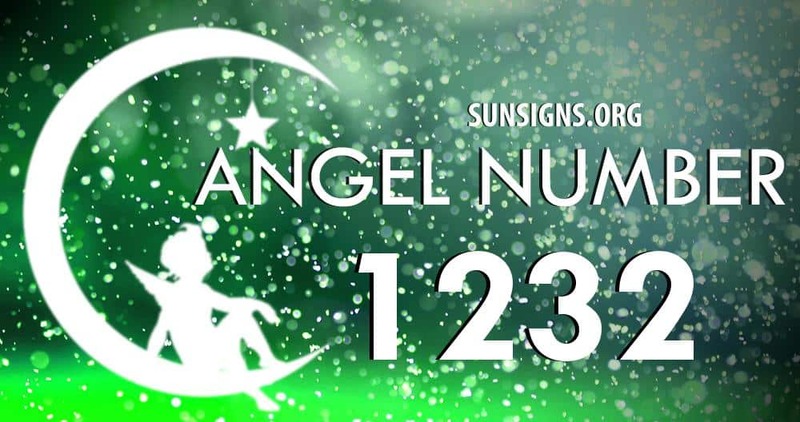 Angel number 1232 asks you to keep a diplomatic, harmonious and positive attitude towards those around you and communicate with honesty. The repeating number sequence of this number also says that the angels and the Ascended Masters are available for assistance whenever you call upon them. Number 12 tells you to surround yourself with love, because it will encourage an optimistic viewpoint. Stay on a positive path and use your natural skills and talents to get the utmost benefit from being you. The number 1 in this angel number is letting you know that your angels want you to succeed, and that they will be by your side every step of the way to help you get where you need to. Number 2 is asking that you trust that the guardian angels are by your side, listening to your prayers and requests and helping you as they can. Number 3 is asking you to use your natural talents and abilities to go after your dreams and accomplish what you’re meant to do. 32 is telling you to keep your belief in the angels strong, and that optimism is key to having a positive atmosphere in your life. So long as you keep trusting that your angels are supporting you on your journey, you will do just fine. Number 123 is a steps number (1..2..3), which represent the steps an individual takes in their own personal lives.It is letting you know that everything you need to accomplish your goals is right in front of you, but it is up to you to make the right decisions to do so. 232 is telling you to stay focused. Do not lose sight of your aspirations and dreams, for they will help guide you towards your Divine purpose. Your angels and the Ascended Masters are available to help you, and all you have to do is ask. Whether you are aware or not, they are guiding you down the right path of your life. Angel number 1232 asks you to stay focused on your aspiration and goals, and don’t forget your faith and trust. However, don’t be afraid to step outside your comfort zone if it is necessary to follow your dreams. This also tells you that you’re working in alignment with the energies of the Ascended Masters.